With all six “regular season” Grand Prix events nicely tucked in the past, and a week before the Final in Sochi, I thought it was as good a time as any to reflect on the season thus far. Each GP season creates new buzz for the up-and-comers or the comeback-kids; it provides some disappointments for long-time favorites; we see just who came into the year most prepared; and, if we’re lucky, there are a few magical moments along the way to make it all worth while. Today, let’s talk about the guys of the GP series. Boy, were there a lot of them to choose from this time around. So many guys, so few medals to go around. But, that’s kind of become the status quo of the men’s event in the last Olympic cycle. There’s just too much talent to choose favorites. This year, though, it became strikingly obvious: the Japanese men have done what the Japanese women did a few years back. They’ve completely taken over. Six of the top ten men after all six events are from Japan. The only man to compete for Japan and not finish in the top 10? Daisuke Murakami who withdrew from his only event after an injury in the short program. That’s some pretty good odds, if you’re betting on a Japanese man landing on the podium, no? At least one Japanese man was on the podium in every event; four of the six events were won by a Japanese man, with no repeat winners; three of the six events had multiple Japanese medalists, including Skate America where Takahiko Kozuka, Yuzuru Hanyu, and Tatsuki Machida swept the medal stand. Continuing the trend, six of the top ten international scores this season belong to those Japanese men, with Hanyu, of course, setting — then breaking — the world record short program score. Yes, those two skates are definitely two of those magical moments I referred to earlier. So, too, was Kozuka’s free skate at Skate America. That just blows my mind. Oh, to be in the arena for Japanese Nationals to see these guys duke it out! The only other men to make the GPF are Patrick Chan (no surprise there) and Javier Fernandez (who bested Chan at Skate Canada for his first GP gold). A bit surprising was Chan’s start to the season. Four falls at the Japan Open, followed by a less-than-perfect Skate Canada had the skating world buzzing, wondering if the coaching shake up or the pressure of being the top-ranked man entering the season had gotten to his confidence. Rostelecom Cup, though, proved that he still has what it takes, as he posted the season’s highest total score (262.35, just over 1 point better than Hanyu’s best). Considered Chan’s biggest competition last season, Daisuke Takahashi didn’t have the smashing success I, for one, was expecting after his stellar skate at the Japan Open. 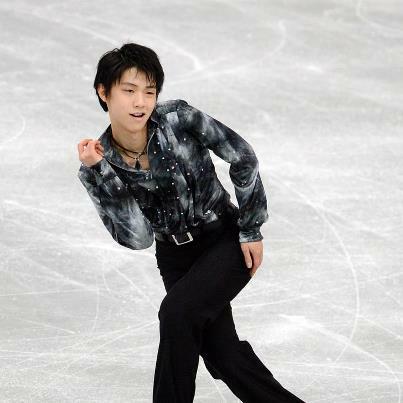 He changed some elements of his free skate that, from my perspective anyway, fail to do him justice and hurt the program overall. He didn’t win either of his GP events. If I was to make a prediction now, based on GP results, of who would make the US World Team, it would have to be Jeremy Abbott and Ross Miner. Both had their share of rough spots so far as they tried to insert the quad into both programs. Miner landed his first quad salchow in competition en route to a bronze medal behind Hanyu and Takahashi at the NHK Trophy — not bad company, I’d say! He also tallied the top US men’s score of the season (235.37). Abbott, once again, has sensational programs, showcasing two very different sides to his skating. However, the free skate remains a bit of a bugaboo for him … especially when he’s locked in on the quad attempt. 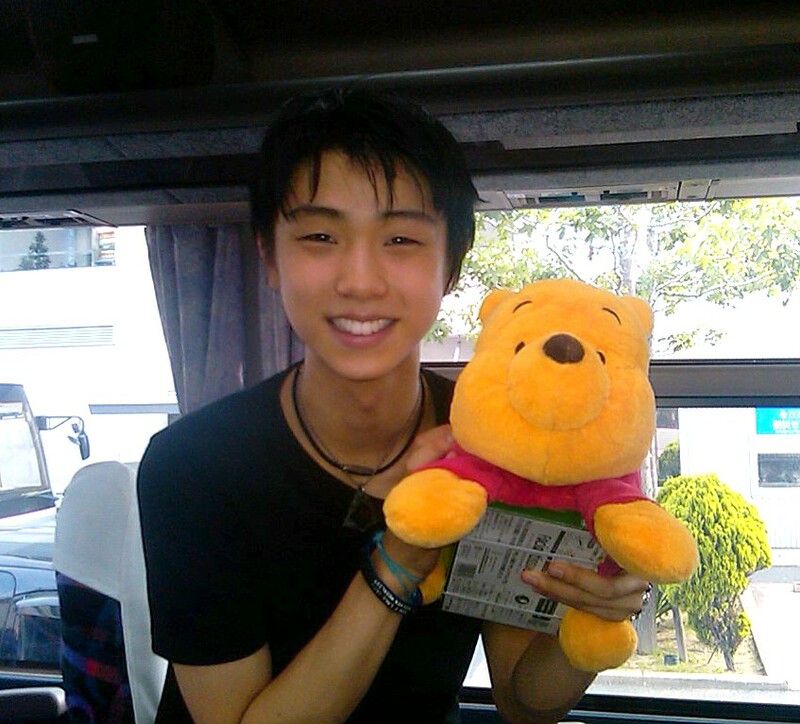 I watched him in the practices at Skate America miss the quad time and time again. I had to wonder if the risk was worth it, seeing how little confidence there seemed to be in that jump. Without it, he has to be flawless and depend on his polished program components. With it, though, he risks falling — literally — out of contention before he ever has a chance. It will be interesting to see what he chooses to do with it the rest of the season. Jeremy is the first alternate for the Final. Should anyone not be able to compete, he may have another shot yet. That accounts for the most shocking and impressive results of the men’s season. Except, of course, for Johnny Weir’s comeback attempt. There’s not much to say about it, really, except that this comeback is going to be harder than perhaps even he realized. I applaud him for the effort. But, if he really wants to be competitive, he has oodles of work to do. The Final will be a preview of what the Japanese Championships could look like. But, the real question will be, can Chan or Fernandez throw a wrench in the sweep potential? What was your favorite men’s moment of the series? Biggest surprise? Share your thoughts in the comments below! Now that we have the Shpilband news out in the open, we can get back to daydreaming about what the upcoming Grand Prix season will hold. Today, it’s all about the Pairs. So let’s jump right in, shall we? Pang/Tong and Volosozhar/Trankov look to be the pack leaders at the season opener. Of course, the Russians are coming off of a magnificent Free Skate at Worlds that would have crowned them champions, had they not crumbled in the Short Program. You know they want to prove that was a fluke! Don’t take your eyes off Denney and Coughlin, though. Last season was their year to feel each other out, see how things would go, and what they were capable of. This year, they must add technical difficulty and depth to their choreography if they want to keep up with the big kids. They can do it. And if they can do it while maintaining their consistency, look for a handful of podium finishes for these two. The rest of the field is packed with potential, too. Dube and Wolfe have beautiful elements and lines, but their technique sometimes fails them. Dolan and Speroff ooze talent, and Kemp/King and James/Cipres are pressing towards the Olympic games with growing fan bases. At first glance, it’s no surprise Savchenko and Szolkowy will enter this event as the gold medal favorites. They narrowly edged the Russian duo of Volosozhar and Trankov at Worlds, and they have oodles of experience to pull from at the beginning of the season. However, the battle between Duhamel/Radford and Marley/Brubaker could be interesting. Sure, the Canadians have the edge based on last season. But we all know how much the young American team improved in just one off season together. If they make a similar leap this year, they could be right up there, likely gunning for a couple of GP medals themselves. It seems impossible, but the Grand Prix series for 2011 is over, save the Final in a few weeks. We’ve seen a little bit of everything this year, so I continue to expect the unexpected as we go forward through the GPF, Nationals, Europeans, Worlds, Four Continents … they’re really not as far off as they seem! In fact, the US Nationals competitors list was just released, if you’re interested. Let’s take one last look back at the sixth and final GP event of the season. One of the more tender moments of their FD. To be fair, Kaitlyn Weaver and Andrew Poje were fantastic. But there’s just no comparison to what the World Champs are doing. Weaver and Poje have one of my favorite free dances of the year. Yes, the falling strap can be a tad distracting, but you’d be hard pressed to find any dance team who pours as much emotion into a dance as these two. You almost feel like your heart is breaking along with Kaitlyn’s by the end! That’s powerful stuff. Plus, they skated it really well. They have always seemed to struggle to get the high marks from the judges, but they’re coming into their own and their confidence shows. Ekaterina Bobrova and Dmitri Soloviev were quite the home crowd pleasers, but finished a distant third. Every element is sharp and clean and, well, perfect. throw triple axel. It cost them when they couldn’t hit it cleanly. I assumed they would continue that daring here, thus I picked Kavaguti and Smirnov. But no. The reigning World Champs went the “safe” route and stuck to more manageable throws. (You know, like the lutz and loop. “Easy” stuff!) The result? Good for them. They skated a fantastic free skate that gave them the top international score of the season from the other Russian stars, Tatiana Volosozhar and Maxim Trankov. Whether they call it by this new fangled name or not, it’s that time again! But before we get started, how about a quick story? Yes? Okay, good. Once upon a time, my coworkers and I were having “one of those days.” You know the kind – everything you touch breaks, every time you think you’re a step ahead you learn you’re five behind, you have a headache the size of Texas, no matter what you do you can’t make anyone happy, and it seems like life’s just flying by without you. After we caught our breath from laughing, we decided that would essentially become code for “I’m having one of those days.” So now when we feel like we’re swimming upstream, someone just says, “Today feels like a trout day” and we all understand! Well…this has been a trout week for me! Nothing particularly dramatic, but just always swimming against the current, not quite able to get a grip on the time flying by me! So excuse me while I take a quick, deep breath…. Okay. Now that that’s out of the way, let’s get to the Rostelecom Cup preview (which I will be referring to as Cup of Russia…since that’s what it’s always been, and it’s even labeled that way on the ISU event page! It’ll be #CofR for you twitter bugs this weekend). Last week’s format seemed to go over well, so we’ll be using it again, this time looking for the draw, the dark horse, and the darling (can’t have it exactly the same now, can we?!). Let’s pick up with ice dance this week. The draw: Federica Faiella and Massimo Scali (ITA) – reigning World bronze medalists, 3rd at Cup of China, they have the experience to correct their early-season mistakes here in Russia. The dark horse: Ekaterina Bobrova and Dimitri Soloviev (RUS) – actually beat out Faiella/Scali at Cup of China a few weeks ago after capitalizing on mistakes from the Italians. They could very well do the same here, despite the experience of Federica and Massimo. The darling: Alexandra Paul and Mitchell Islam (CAN) – the up-and-coming Virtue/Moir 2.0…they are just lovely. Such visually stunning elements and a charm that can’t be taught! I can’t help loving them. Who do you like for pairs? I’ve got it down like this. The draw: Yuko Kavaguti and Alexander Smirnov (RUS) – another pair of reigning World bronze medalists, this is their only Grand Prix of the season. However, they should have the fire power and experience to stand out here. The dark horse: Narumi Takahashi and Mervin Tran (JPN) – they took 3rd earlier this season at NHK Trophy, and they’ll no doubt be aiming to improve on that here. Without some of the pairs power-houses skating in Russia, they might just do it. The darling: Amanda Evora and Mark Ladwig (USA) – the joy they have when they are on the ice is infectious. Plus, they bring a level of genuineness and class to any room they step into! The men’s competition, as all season long, could get very interesting. The draw: Toss up! Jeremy Abbott (USA)/Patrick Chan (CAN) – after Chan’s PCS scores from Skate Canada, he would seem to be the favorite. But his technical skills abandoned him in the short. If Jeremy skates clean and gets credit for all of his elements (i.e. all his required spins! ), he could give Patrick a run for his money, especially if Jeremy hits the planned quad in the long. The darling: Samuel Contesti (ITA)*– his programs just make me smile. He often reminds me of Ryan Bradley in his ability to get the audience on his side, and I love to see him skate well! *Okay, I’ll admit it…my personal favorites this week also happen to be the skaters drawing most of the attention. My “co-headliners,” Jeremy and Patrick are where my heart really lies. I do, however, have a soft spot for Samuel, so it works out anyway! And of course, the ladies. The draw: Miki Ando (JPN) – she’s skated, perhaps, the cleanest competition thus far in the ladies competition in the Grand Prix Series. If she maintains that technical prowess, she should have the edge. Watch out, though – her PCS won’t keep up with some of the rest of the world, including a few ladies here. The dark horse: Oh boy…so many options to look at! Ksenia Makarova (RUS)/Ashley Wagner (USA)/Agnes Zawadzki (USA) – Ksenia is coming off of a very successful senior Grand Prix debut in Canada where she placed 2nd, and looked very solid. Ashley finished 5th at NHK, but she’s a skater you can never count out. And Agnes, well, she nearly pulled off the upset in her senior debut at Skate Canada. If she skates her long as well as she did her short in Canada, we could be in for a treat. The darling: Akiko Suzuki (JPN) – once again, some favorites have already been mentioned. Still, there’s something very special about Akiko that has me constantly pulling for her. She skates with great speed and she has a very strong instinct to make each movement important to the overall performance. That is something I love to see. And once again we’ve made it to the end! I hate making any kind of predictions (especially with Grand Prix Final spots on the line for some of the top skaters), but this is far less restrictive…anything could happen, but with simply the list of names in front of me and some knowledge of how things have gone for them in the past (plus a little bit of “gut-feeling!”), this is how I see things stacking up. We’ll begin to see how right – or how wrong! – I am in just a few hours! If you’re keeping track of my fantasy picks, check the video below. If you’re not, that’s fine too! It seems just when I think I’ve got it going right, one event goes and messes it all up! But that is, I suppose, the fun of fantasy sports…you just never quite know how things will go down! Sadly, I won’t likely be able to tweet live play-by-play this weekend, due to my “trout week” schedule, but I’ll be posting comments here and there as I get updates on how things are coming along. And of course, a blog here and there in review. Just a few more hours now. Good luck to all in Russia!